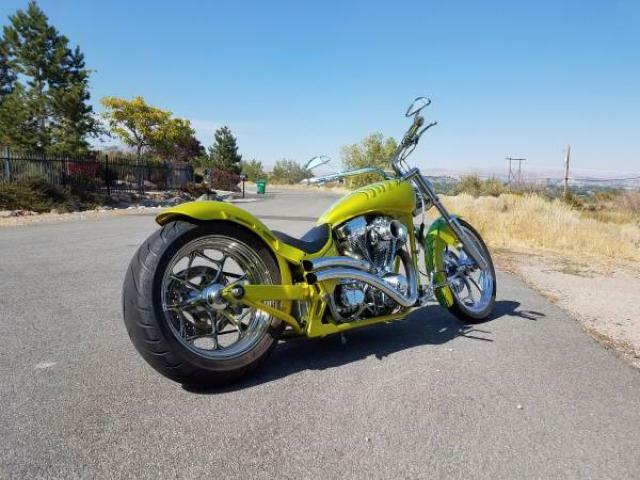 Custom Harley Soft-Tail built by Biker Build-Off Champion, Harold Pontarelli, of Vacaville, CA.. This beautiful bike was feature on the cover of American Rider Magazine (May 2002) and is still as beautiful today. The bike has a polished 100 cu.in. 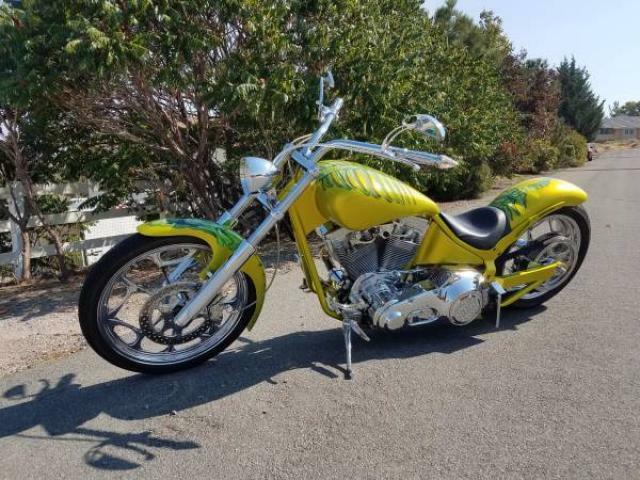 Rev-Tech motor with less than 4,000 miles, Rev-Tech six speed transmission, polished 42mm Mikuni Carb., and hydraulic clutch. 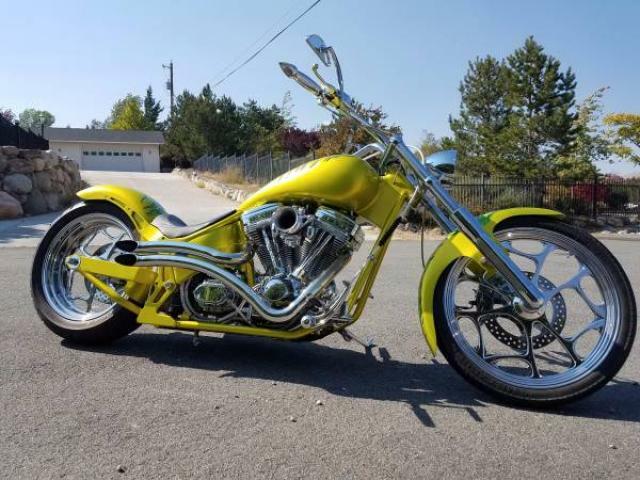 This bike features Performance Machine Scream wheels (21" front, 18" rear) and Avon tires. The rear 200mm tire is new. Also are Pro-One triple trees and handlebars, Headwinds headlight, PM controls, Ness mirrors and a High End custom seat. Too much to list. This beauty looks and runs excellent. It appraised at $60,000. Has won numerous awards and is always a crowd favorite. The paint details are unbelievable! "It's B-B-B-Bad To The Bone!!!!" $22,000 OBO. Will consider trades = Serious inquiries only!